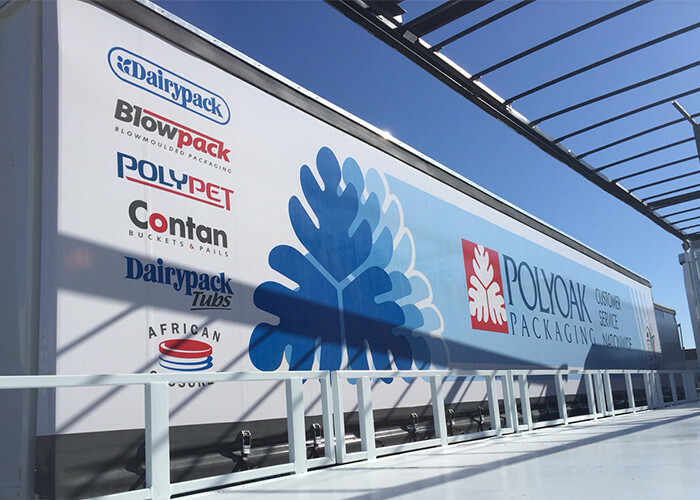 Large format fleet branding is a sensible form of organic marketing, ensuring that you get the most value out of the assets you already own. 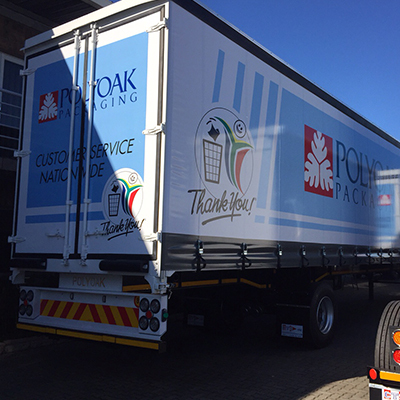 Clarion Moving Media branded 6 trucks for Polyoak Packaging using tarpaulin for the sides and vinyl printing for the rear of the trucks. 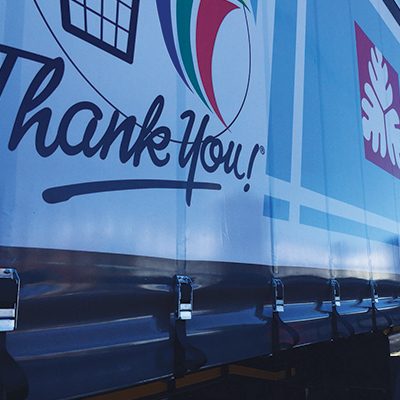 Clarion Moving Media has a national footprint and fittings were done simultaneously in both Cape Town and Johannesburg. 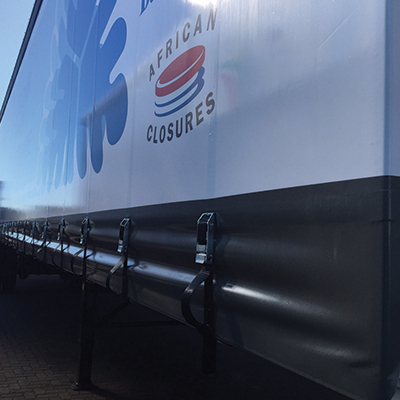 Clarion Moving Media is part of The Clarion Group and specialises in fleet branding. Call us today for a quote.